Wave105 Cash For Kids – Winner Announced! 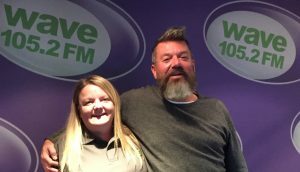 We are face 59 out of 1000 for Wave 105’s Cashforkids 1000 faces – 2018. That means we are committed to raising £100 this year. 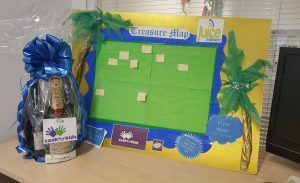 We chose create a treasure map where colleagues, suppliers and our business partners could buy a square on the map for £1. The treasure map had 100 squares. Locating the treasure – We visited Wave 105 Studios where the brilliant Mark Collins helped choose our winner – we used a highly scientific selection process to determine the winner, too see how we did it and find out who our worthy winner was : https://youtu.be/vdDwHIbO0-w Thank you Mark for helping us pick our winner. We have so far raised £133.00 – We love the fact that all the money raised helps children in our local area.